Old Dogs and New Tricks | Tennessee Aircraft Services, Inc. In the earlier days of Cessna Aircraft (mid 1960s), there were lots of factory trainings and a Cessna authorized Service Station on every corner. Troubleshooting relied on minimal information or one’s experience with similar situations. 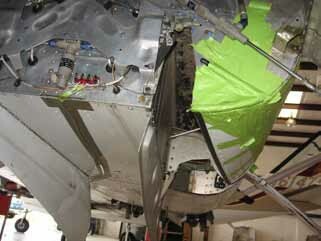 Lack of data meant failure prevention relied on replacing components at some specific calendar or flight time assumed to be prior to a possible failure. Unfortunately, preventive parts replacement may have induced as many problems as it solved. Today, we have access to phenomenal technology to assist in troubleshooting difficult or easy problems. The real question is when and how to apply new technologies to fifty year old products. I remember when my Dad, an A&P and AI for many years, complained when he saw the his first multi-probe EGT monitor. He was convinced it would just create trouble for mechanics as uneducated pilots had unrealistic expectations from the engines. It never occurred to him it could be an amazing troubleshooting tool for mechanics. Still, the original function was geared to assist the pilot in management of his/her engine. Not much new high tech stuff has been designed specifically with the piston engine mechanic in mind. A few nice convenient tools have come about like the battery power screw driver but not much along the lines of diagnostic tools. Even if new high tech diagnostic tools were available, most small shop mechanics probably couldn’t afford them. From the mechanic’s point of view, the purchase of most new technology may add some capability, but it also reduces the billable time for a particular function. Consider the addition of a $100 battery powered screwdriver means all those access panels come off and go on much faster. I’m not saying a mechanic would chose not to purchase some piece of equipment for this reason, but it could affect one’s motivation. There are some new bits of technology that have come on the scene in recent years which allow mechanics to do much more precise troubleshooting than ever before. Now, problems previously only resolved by trial and error replacement of components can be discovered by proper application of inexpensive technology. It’s a real eye opener for a mechanic to realize new technology like engine monitors, borescopes, laser temp guns, and videoscopes, can make him/her a troubleshooting hero. When I was in grade school, my Dad purchased a damaged 1964 Cessna 210. It was the most sophisticated plane for him to repair to that point and the first with retractable gear (undercarriage to our proper English speaking readers). All the repairs were made in a T-hangar at the airport in Hot Springs, AR. I used to ride my bicycle to the airport after school to help put the plane together and buck some rivets. This is the plane that started a long time fascination with the 210 series. To the point, this 210 had a strange landing gear problem that proved a significant challenge for Dad. Being a mechanical and civil engineer, this was problematic for his ego. In flight, the gear would retract, the doors close, and the select handle dropped to neutral. After a short time one or both of the mains would push the doors open and drop out of the wheel wells. Several times the tall jacks were borrowed from the FBO to try to duplicate the problem, but the fault wouldn’t repeat in the shop. Dad, now 91 years old, approached most problems in typical engineer style. Unfortunately, all the calculating, measuring, adjusting, and analyzing didn’t yield a viable answer. Dad finally switched to mechanic mode and decided the system must be observed in real time to catch the problem in the act. Being able to actually view the operation of the main gear uplocks in 1968 required one of two options: some interesting smoke and mirror action or just a simple extra inspection panel cut in the top of the aft wheel well. 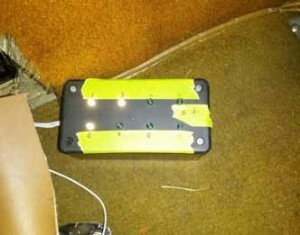 Dad cut a very nifty new access panel in the top of the wheel well near the jump seats. Being of grade school age at the time and unaware of how adventurous my father could be, I did not anticipate the next step. We departed in the 210 and flew off to a remote area, and he extended the landing gear. Dad said to hold the plane straight and level while he went to the back to view the gear operation. I put the lever in the up position and called out when it returned to up- neutral. It was just a couple of seconds later when he let out a “EUREKA” yell. Finally, he saw the problem as it occurred, and the fix would be relatively simple. Why he thought leaving the controls to a grade schooler was acceptable speaks to his level of desperation. I only reveal this personal history as I hope the statute of limitations has been exceeded. I was just recently presented with an almost identical problem on a customer’s 1962 210. I say almost because I don’t recall the details of the problem on Dad’s 1964 model. It’s entirely possible they were the same problem, just a few decades apart. When the gear was selected to the up position it would dutifully retract and the gear up light would illuminate. A split second later the light would extinguish. The select handle would not go to the neutral position indicating completion of the cycle. The system was operated countless times in the shop using the hand pump and the hydraulic mule. The main gear doors were disconnected, allowing the operation of the up locks and their related switches to be viewed in real time. High speed, low speed, medium speed, and every other speed we could generate with the hydraulic test stand just would not duplicate the problem. It became obvious the main gear up lock operation needed to be observed with the plane in flight. I flashed back to my childhood and the access panel Dad cut in the ‘64 model. Back in the day that wasn’t a particularly big deal with the FAA. Today, the paperwork would require much more time than making the access panel. All we needed was a way to look through the aluminum and watch the main gear uplocks. As it happens, I have a nifty little high tech and very low cost tool perfect for the job. I invested in a handful of $45 USB pencil video cameras a couple of years ago for doing borescope inspections of cylinders. Since having them, we’ve found all sorts of uses including looking inside fuel tanks in order to watch what we are doing while applying sealant. Our plan was to attach one in the 210 wheel well to watch the mechanism operate in flight. I also installed a little test box I constructed several years ago with lights to display exactly which up lock switches were connecting. With David, one of my mechanics, manning the lap top, we took off to cycle the gear and see what would happen. Sure enough, we had a “Eureka” moment on the first gear retraction. Watching the test box, we could see that the right up lock switch connected for a split second then opened again. In the video display on the laptop computer, we could see the right up lock fully engage, then retract just enough to let the gear leg drop just a bit. It all happened pretty quickly, so we weren’t totally sure what happened. The really cool part is that all this video was stored on the computer giving us the opportunity to view it multiple times in the relative calm of the office. As it turns out, this short partial retraction of the up lock actuator is normal, and Cessna designed around it. The actuator rod to each lock hook is slotted to accommodate this retraction without moving the hook. The service manual rigging procedure calls for a minimum clearance between the gear strut and the hook of 0.090” when the gear extends, but it doesn’t give a maximum. Ours measured well over 0.250” which caused the hook retraction rod to find the end of the slot way too soon and pulled the hook off of the gear leg. The switch test box shown in flight. Light #1 is power out of the nose uplock switch, #2 is power into the left main switch, #3 is power out of the left main & into the right main, #4 is power out of the right main and #6 is power at the aircraft gear up light. We can see that the right main switch is not engaged. As it is with most problems, identifying the exact cause is the most time consuming and challenging aspect of troubleshooting The actual fix is usually fairly simple, straightforward, even boring. In this case we just extended the two threaded rod ends of the right uplock hook actuator rod to their maximum length. That was maybe a ten minute job. Now the short retraction bump of the actuator moved everything except the uplock hook. We flew the plane again to ensure success and recorded the operation on our “way cool” video camera. I’m sure some may question the legality of taping foreign objects to the side of a plane and flying around. To be frank, I didn’t give it much thought at the time. I was intrigued with the idea that I’d be able to see and solve this nagging problem. I admit to succumbing to the same desperation as Dad, but at least I didn’t leave the flight controls to a ten year old. As mechanics, we have access to more technology than ever before to assist us in troubleshooting problems. Most are not specifically designed for our industry. Imagination is required to apply them as needed to generate the information we need. It would be nice to plug a computer into the plane and have fault codes print out and tell us what the problem is, but where’s the sport in that?